Did everyone have a good Halloween? Any fun parties and cool costumes? I went out for Sunday lunch, so not exactly much to do with ghosts and ghouls, but it was very nice nonetheless! I guess the next thing on the cards is Christmas - I don't know what it's like where you live, but here in my local town the decorations are already up - and of course the weather continues to get colder and colder. So I thought it was about time I started looking at winter coats, and naturally I've decided to share some of my favourites with you. There's a little bit of everything here. Smart and casual, practical and fabulously frivolous. Apart from one, though, they are all very affordable, and in fact the vast majority of them are well under £100. 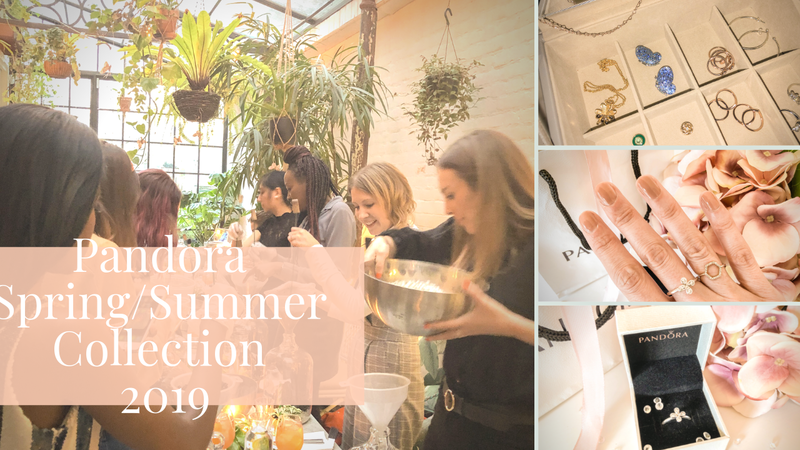 So have a little browse, and let me know which one's your favourite! For me, a classic wool (or wool look) coat is an absolute staple in my wardrobe. You can throw them on over anything and they always look smart. Coats with a very high wool content tend to be pricey, so realistically I'm not going to have a huge selection of those. Luckily the high street brands always come up trumps with gorgeous lookalikes, like these. 1. 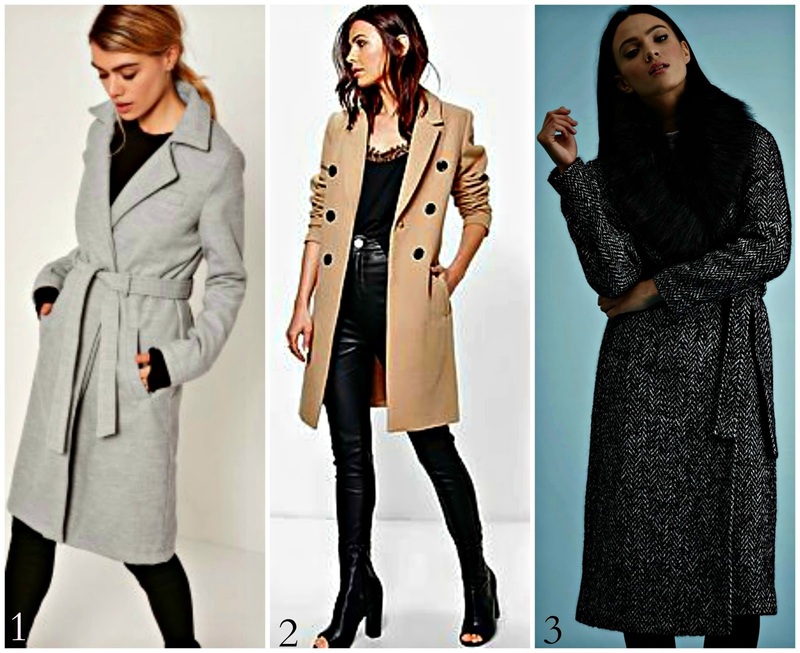 Missguided Grey Coat, £50 - A classic, belted style that would look good with everything. I love the light grey colour - makes a nice change from black. 2. Boohoo Double Breasted Coat, £40 - Camel coats never go out of style, and this double breasted one from Boohoo looks sharp, sleek, and definitely more expensive than it actually is. 3. New Look Faux Fur Collar Coat, £59.99 - This one looks so cosy, but chic at the same time. I love the faux fur collar! 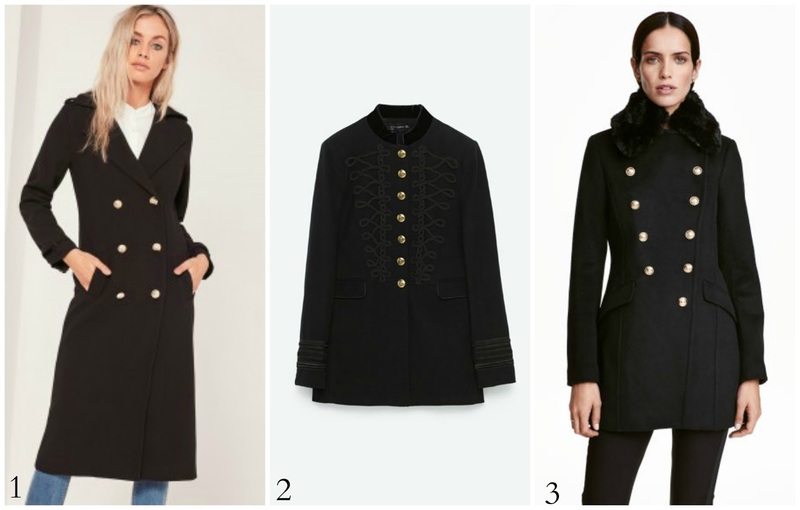 Military coats seem to be on trend year after year, and I for one don't think I'll ever get tired of them. There's something about the sleek lines and brass buttons that's just effortlessly stylish. 1. Missguided Black Military Coat, £55 - This coat is a trench with a military twist, which I think is fabulous. Perfect for milder days. 2. Zara Military Jacket, £89.99 - I think this one might be my favourite of the three. As well as brass buttons, it has just enough decorative piping to add interest without looking like it might actually have been worn during the Crimean War. Gorgeous. 3. H&M Double Breasted Jacket, £69.99 - This looks almost identical to a jacket I bought from Zara last year. The only difference is, this one is more versatile. You can detach the fur collar and open out the lapels, which gives it a very different look. It's practically two coats in one. Is there anything more glamorous than a faux fur coat? Absolutely heavenly to snuggle up in, plus they make you feel like an old Hollywood star. What's not to love?! 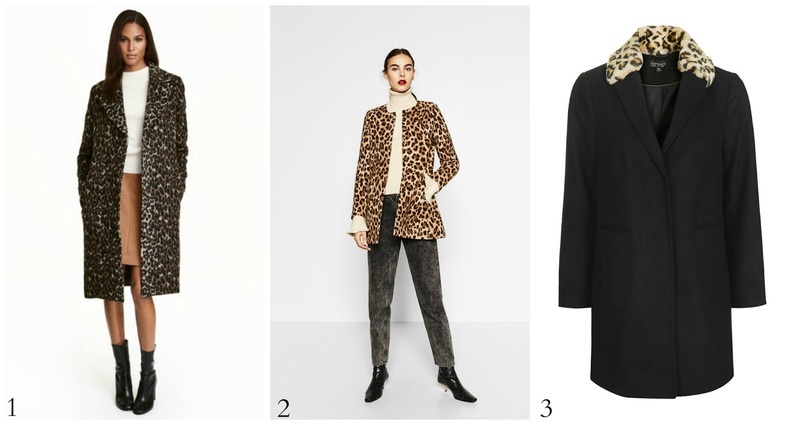 I've chosen all three of these from Zara, as I feel like their faux fur looks the most luxe of all the high street stores. 1. Zara Sand Faux Fur Coat, £79.99 - I love, love, love the colour and texture of this one. You could wrap this around you on chilly evenings like a very luxurious blanket. 2. Zara Black Faux Fur Coat, £89.99 - This one is a little sleeker. Just imagine this over an evening dress, with red lipstick. Perfect. 3. Zara Multicoloured Faux Fur Coat £229 - The most extravagant coat I've picked out. And probably the least classic. But just look how beautiful it is! If you're looking for a serious statement coat, this one fits the bill and then some. Leopard print coats are definitely having a moment this season. Yes, they can look a little tacky if you're not careful. I also think they can look amazing - it just depends on which one you pick and how you wear it! 1. H&M Leopard Print Coat, £79.99 - This one is my favourite - I think it's such a chic take on the leopard print coat. I love how H&M have styled it here too, leaving it open to show much more understated clothes underneath. It does come with a belt, though, if you wanted to wear it wrapped around you on cooler days. 2. Zara Leopard Print Coat, £69.99 - A slightly "louder" leopard print than the H&M one, but the simple lines keep things looking elegant. 3. Topshop Leopard Print Collar Coat, £65 - If you can't face full on leopard, the cute collar on this Topshop coat is a nice way to dip into the trend. Ah, the duster coat. A very popular piece I've yet to experiment with. I think the length of these has always put me off - being 5'3, they'd realistically only work on me if I was wearing heels. Also, they're pretty thin, and I get cold, so I've always thought they weren't that practical. However, I've fallen in love with these. 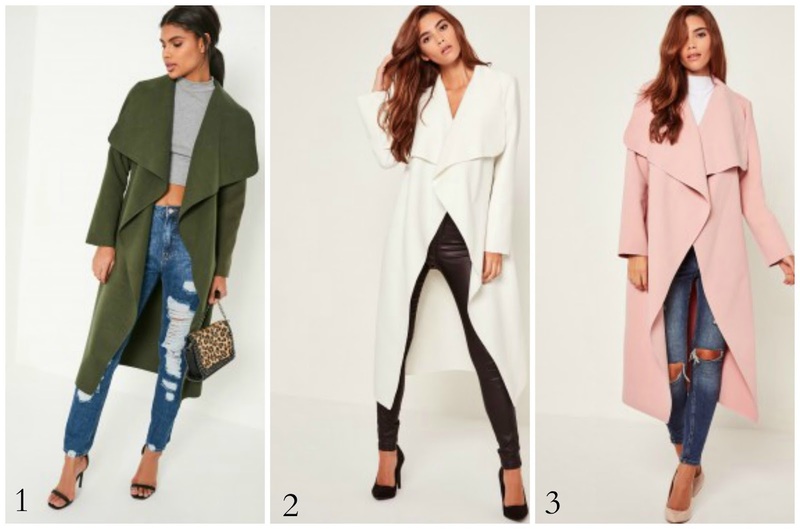 They're all from Missguided and are basically the same coat, but the different colours lend each one a different character. They might not be the warmest coat out there, but I do think they look elegant, so maybe they'd work for car to bar situations?! 1. Missguided Khaki Duster Coat, £35 - Loving how they've styled this one with the mid blue jeans and the leopard print bag - such a lovely, rich combination of colours. 2. Missguided White Duster Coat, £35 - I saw Josie from Fashion Mumblr get this in a recent haul. She talked about wearing it for smart evening occasions with a gold belt, and I thought, "this girl's a genius." What a lovely idea! 3. Missguided Pink Duster Coat, £35 - Like the khaki one, I'd probably wear this with jeans, but the softer pink shade gives it a completely different, much more girly vibe. Sometimes you don't want a full on coat, so it's always nice to have a selection of jackets to suit different occasions. These are just a few I currently have my eye on! 1. Boohoo Parka, £55 - I'm not a fan of parkas as a rule - it's not a look I can really pull off on a day to day basis. However, they're usually warmer than wool coats, and perfect for more casual occasions when you're going to be outside for any length of time and it's freezing - country walks, bonfire night, etc. The faux fur trim on the hood of this one adds a touch of luxe, and I love the colour of it against the khaki. 2. River Island Aviator Coat, £90 - I absolutely love this jacket. I think it's fabulous! Imagine how gorgeous this would look over a black polo neck. It looks a million dollars - no one would guess this was River Island and not designer. 3. Zara Bomber Jacket, £79.99 - It's burgundy. It's velvet. It's embroidered. And it's a bomber jacket. Need I say more?! OK, strictly speaking, it's not real embroidery. Zara calls it patchwork. Personally, I think it's applique. But who cares? It's bloody gorgeous, and ticks so many of this season's trends in one go it makes me giddy just looking at it. Because sometimes it's good to step outside our sartorial comfort zone! 1. Missguided Faux Wool Cape, £50 - I've never worn a cape, and I can't help thinking the whole fabric draped over arms situation might drive me crazy, but I just love how chic this looks. If you're a "cape person" I would love to know, are they comfortable to wear? Can you actually move your arms? Enlighten me! 2. Zara Embroidered Coat, £119 - Now this actually is embroidered and it's so pretty. Despite the embellishment it's still completely wearable, and I love the nod to one of this season's most feminine trends. If you wanted to wear a scarf with this you could keep it tucked inside so you're not covering up the decorative yoke. This would look great worn day to day with jeans, but I also love what they've done here with the over the knee boots. 3. River Island Grid Print Coat, £115 - I love the grid pattern on this coat and the grey and pink colour combination as well. This just offers a fresh spin on the traditional, belted wool coat. So, do you see anything you like here? 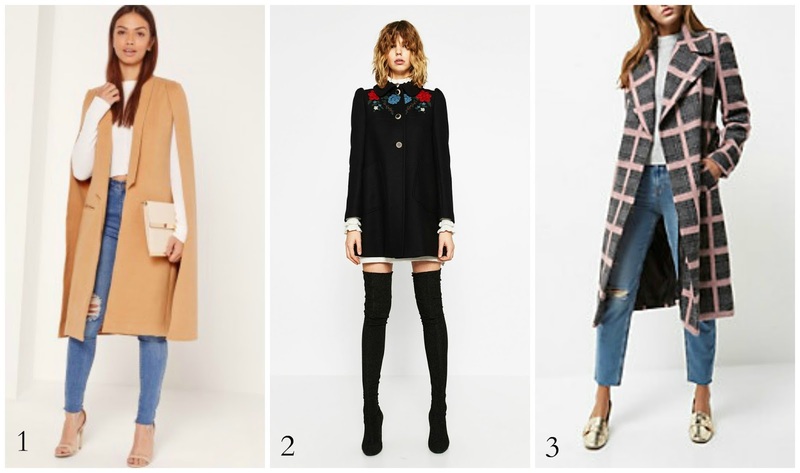 Will you be adding any new coats to your wardrobe this winter? If so, what do you think you'll go for? I love all the casual jacket ones they're so gorgeous! 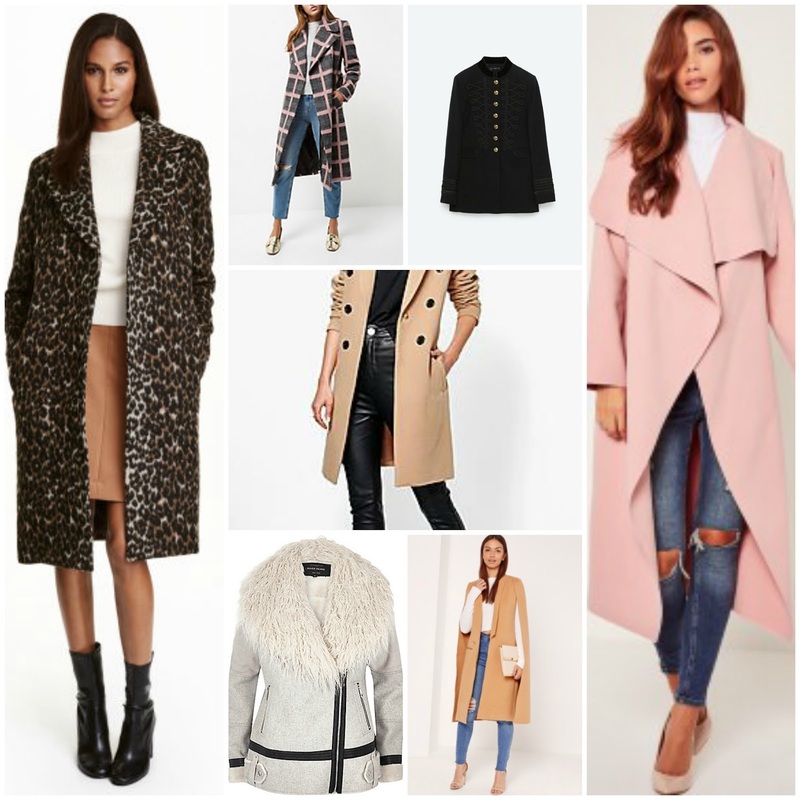 When it comes to Autumn/Winter I'm always adding new coats to my wardrobe, the classic trench or a longline coat or duster coat are usually my favourites. Wool coats and militarry coats are my absolute favorites . Gorgeous selection. I've been wanting a duster coat for a while now and that pink one is beautiful! omg, why does every coat look so amazing! I feel all snuggly just looking at them! I can't believe we're already talking about Christmas! I really want to get a faux fur coat or a cape, it would be really nice! I love the trench coats, and that Zara military one!! I want that so bad it's so chic. I love coats and definitely need to purchase a couple this year for a wardrobe update. I saw a beautiful cape one on Zara that looks so nice and comfy! The pink duster coat really caught my eye. I usually stay conservative with my coats, because most of the time they are an investment. Hi Kate, I have a few coats already but been eyeing up a duster coat as they look so chic! I would also like a dark olive coat....because you can never have enough! It was a perfect selection ! Winter coat are the best !